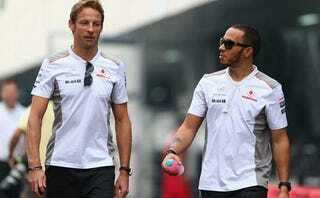 The bookmakers are slashing their odds on Jenson Button moving to Red Bull next year to replace Mark Webber. It's an unlikely move but already plenty of people are saying Vettel will slaughter Button in the same team. Also, there's talk about Jenson staying loyal to McLaren.